Although a medical assistant is not at the top of the food chain when it comes to the medical industry, they form the foundation of the industry. If it wasn’t for the assistant, then the doctors and surgeons would not get to do their work because they would be too caught up with all of the little things that needed to be taken care of. The medical assistants take care of these things so that the rest of the industry can do what they do best. In this way, everyone forms a link in the vast chain that is the medical world and without one of these links the chain would lose its strength. In hospitals and surgical hospitals, the medical assistant does very important duties such as all of the administrative work and organizing appointments and client information. With so many patients coming in and out of hospitals it is very important that everything runs extremely smoothly and it is the responsibility of the medical assistant to keep things running smoothly and according to a system that works for everyone. Patients who come in need to be booked in and their details need to be captured and a file opened for them. If they have been there before, their file needs to be drawn and updated. The medical assistant carries the responsibility for these files to ensure that their contents remain confidential and that they are filed properly for safe keeping. Any filing systems that are being kept electronically on the computers need to be backed up and updated regularly. This type of medical assistant can earn a salary of about $30 000 per year. In the outpatients ward things do not happen at such a fast pace as it would in the Emergency Room (ER) and the medical assistants get a lot more time to spend with the patients and making sure they have as much information as possible from the patients that the doctors may need to admit them or to treat them from the outpatients ward. The doctors rely heavily on the medical assistants to check and double check the patient’s information and to make sure they are loaded onto the system properly and that all filing is kept up to date. All the doctor then needs to do is see the patient, find out what their needs are, assess then and prescribe treatment. The neatness and smooth running of the office is the responsibility of the medical assistant. The medical assistant in an outpatient care centre can expect a yearly earning of $27 000. When a medical assistant works in the office of a physician they are often needed to do more than just the admin work. Sometimes these assistants are called upon to do basic vital sign checking to save the time of the physician. These checks could include taking blood pressure tests as well as blood glucose and urine tests. These tasks do not necessarily need the training from a medical school and can be taught in a matter of minutes. These recordings are then put down in the client’s file where the physician can then assist with medication according to the findings of the recordings of the medical assistant. Apart from these checks, the medical assistant will be in charge of the physician’s diary and all of his appointments. These appointments do not only have to be taken down, but they have to be organized and they have to be followed up to avoid people forgetting about their appointments and having empty spots that could have been filled if due notice was given. Other than at a hospital, there is not as much drama and the job is not as fast-paced as in the emergency room which gives the medical assistant working for a physician more time to get to know the patients. This assistant becomes the face of the practice so to speak and people associate coming there with the face at the front desk and not just the physician. The physician can be excellent but if you do not get good service at the front desk, chances are that you will just find another physician. The medical assistant is thus one of the most important people in the office and needs to have the outgoing personality and the will to help which is necessary for the job. Just as a doctor needs to have a good bedside manner, the medical assistant needs to have the right kind of personality to take charge of the reception area but to also have a sympathetic ear to those coming in to see the physician. A medical assistant in a physicians office can expect to earn around $26 000. In the set up of a chiropractor’s office, you have a lot of similarities with the office of a physician, but a chiropractor doesn’t need to make any diagnosis of a patient and thus won’t need the assistant to perform any medical tests of the patients for him. The medical assistant of the chiropractor will basically have to make and follow up on appointments, do the filing, keep the files up to date and make sure that patients are comfortable while the are waiting to go in to see the chiropractor. In many ways the personality of the person in the reception area in this kind of medical office will make a difference in how many people come to the practice. It is easy for a medical assistant who has the wrong attitude to scare away patients. Because the medical industry is so competitive and there are so many of the same type of industries available, health professionals have to do everything they possibly can to retain their patients and to have repeat business from their patients. A lot of advertising in this industry is done via word of mouth and all it takes to kill a practice is for word to spread of the rude medical assistant in reception. The medical assistant to a chiropractor can expect to earn about $22 400 because the work is comprised completely of administrative work and not a lot of training is necessary for this type of job. Optometry is also such a specialized field and the person who treats these patients is not exactly a doctor, but is treated with the same respect. The optometrist is our first defense against blindness and they help us view the world in a much clearer way. The optometrist’s medical assistant will be asked to do certain eye tests and color blindness tests. This is especially important for the children who come in to see the optometrist. While the optometrist speaks to the parents about the next step, the medical assistant can perform some of these basic tests. There is not machinery involved in the tests they do so they will not need to have any specialized training to perform their tasks. Another task that a medical assistant at an optometrist may perform is to give a patient instruction on the insertion of contact lenses as well as how to take them out and how to care for them. The medical assistant may also give the patient instruction on how to care for the lenses of their prescription spectacles as well. All of this takes the weight off the optometrist who can see and treat many more patients because of the workload that has been taken over by the medical assistant. You may find in some optometrists’ offices there is more than one medical assistant and each person performs certain tasks. One assistant will do all of the bookings and instruction and the other will do all of the filing, the keeping of the database and the ordering of stock and lenses. Each person working at the optometrist has a special and specific function that contributes to the smooth daily running of the office. The medical assistant to an optometrist can look forward to earning about $23 000. 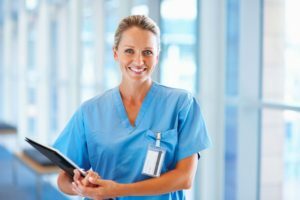 The worth of a medical assistant is seldom measured by the qualifications they have because you only really need to have a high school diploma to become a medical assistant, but they are measured by the amount of time they have spent doing the job and how much effort they put in to add value to their workplace. Just because the medical assistant doesn’t have a doctors or a nursing degree does not mean that they cannot form an integral part of the staff of a hospital or any other medical facility. If all doctors and nurses were caught up doing day to day administration and answering of phones, there wouldn’t be any time left in the day to spend assessing and treating patients. Without the medical assistant, the medical industry could grind to a standstill.